Lying in the shadows of Making a Murderer and Serial are true crime dramas that are aching to be discovered- stories that are dying to see the light the day. Wrongful convictions are becoming a larger piece of the true crime genre, sadly because more of them are being uncovered. Thankfully, there are more people wanting to tell these stories and audiences are ready to listen. This year’s breakout film should be Until Proven Innocent, the true story of Hannah Overton. It highlights how unjust the criminal justice system can be when it’s abused, but the beauty of this film is that it demonstrates the glory of the system when it works. In 2006, Hannah Overton and her husband, Larry, had four children. She was a homemaker, a church going woman, and above all, a mom. Her immense love for children brought another child into their home that year by way of foster care. Andrew was a four year old little boy with multiple issues due to inter-uterine drug use, the most significant of which, being a psychological disorder called pica which makes you want to eat things that are not food. In the fall of 2006 Hannah and Larry found out they were pregnant with their fifth biological child. It seemed like the family was everything Hannah had dreamed of, until October, when one morning Andrew threw an unusually bad fit. By the evening hours, Andrew was brain dead and Hannah was being interrogated by the police. Weeks later, Andrew had died and both Hannah and Larry were arrested for capital murder. What unfolds is a twisted, but true, tale of how the State tries Hannah for an incredibly unusual crime and ends up convicting her and sentencing her to life without parole. While the events leading up to the conviction are interesting and at times hard to watch, it’s the aftermath that continuously stretches the boundaries of your emotions. Film makers, Jenna and Anthony Jackson use interviews with Hannah’s family to highlight how a prison sentence isn’t just handed down to a party of one- it effects the entire family. Her children grow up as the documentary progresses and it’s gut wrenching to sit back and watch how innocently they yearn to have their mom back. Throughout the appellate process you see how many people step up for Hannah. As bothersome as it is to watch the wrong thing happen over and over again it’s redeeming to take in the huge amount of righteousness at work. This is an easily ignored film- it’s one you might glance at and think, that’s too much, or it’s too real, or worst of all, not another wrongful conviction. Don’t ignore this film. If you’re involved in law enforcement or the justice system in any capacity- run to see this film. It has moments you will identify with spun throughout- whether it’s interrogation tactics, child protective services investigations, trial strategy, zealous prosecutions, standing up for the right things, owning your mistakes when someone’s freedom is at stake, and those magical courtroom moments that are oh so satisfying. If you aren’t involved with the above- run to see this movie. 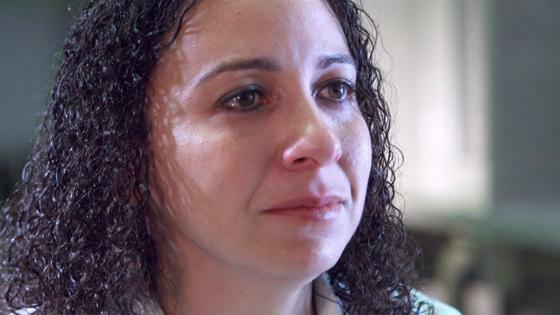 You’ll be captivated that this could happen to an everyday woman- a church going mother of five- who at the end of the day traded “mom” for an inmate number for over eight years. Until Proven Innocent Official Trailer from P+R Productions on Vimeo. This entry was posted on Tuesday, April 19th, 2016 at 3:45 pm	and is filed under Film, News. You can follow any responses to this entry through the RSS 2.0 feed. You can skip to the end and leave a response. Pinging is currently not allowed. Beka this is a beautifully insightful article. Thanks for taking the time to watch the Overton’s story, and then even more time to pen this and share it! We all need to talk about this film. Anyone could end up this situation. « Jean-Claude Van Damme Readies Comedy Pilot for Amazon!!! I don't know, have patience. The last guy who told me to have patience, I burned him down and bagged his ashes.